UCI WorldTour team Trek-Segafredo has extended its partnership with Segafredo Zanetti through 2020, it has announced. After a successful 2016 campaign, the Italian coffee company decided to extend its partnership by adding another two years to the existing three-year deal. "The first season of Trek-Segafredo brought us exactly what we were aiming for and even more than that. That is why we didn’t hesitate to prolong our collaboration with the team through 2020," said Massimo Zanetti, president of MZB Group which owns Segafredo. Trek-Segafredo General Manager Luca Guercilena is equally pleased with the new agreement. "We are obviously excited that Segafredo will keep supporting the team through 2020," he said. "This long-term investment shows their trust and faith in our collaboration. Over the last year, we've witnessed great involvement from the people at Segafredo. That was very stimulating for us indeed. Knowing that they will be with us four more years gives us the stability and the space to keep investing in our team, going from the development of young riders to the continuous improvement and support for our more experienced riders. Joe Vadeboncoeur, Vice President of Trek Bicycles, believes that coffee and bicycles are a perfect match. "Over the past season coffee and bikes have proven once again to be a very natural combination. 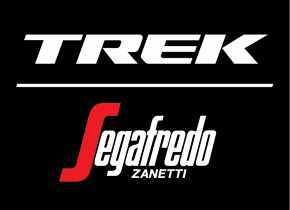 The Trek and Segafredo brands fit together more naturally than we could have ever hoped. Both Trek and Segafredo want to be the absolute leaders in our segment, and we are happy to see that spirit mirrored in the riders and staff of Trek-Segafredo."